Showing results for tags 'lamb leg'. KAMADO LEG OF LAMB BONE IN..
Well before the Tomahawk grabbed my attention yesterday I had been having a craving to try a leg of lamb on the Kamado Joe. What is more Australian than a lamb roast on a Sunday. Perhaps only beaten by some lamb chops on Jan-26th. Tonight’s dinner was a 2.3kg bone in leg of lamb, with the traditional accompaniment of roast pumpkin,potatoes and carrots. Decided to try indirect for the most part add some direct towards the end and finish with another short burst of indirect. For the most part it seemed to work and the end result was pretty spectacular. So good my wife and I didn’t even bother with a gravy….. The flavour straight off the Kamado was perfect , the lamb juicy enough to not need anything added. 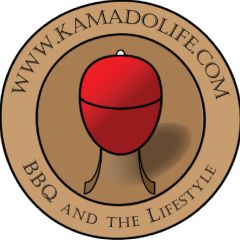 Kamado set up: 75% new lump + handful of hickory chips both deflectors installed on the lowest position Xrack in the mid position both halves of the grill rack in the upper position. Reconfigure for Sear left deflector removed left grill rack in mid position Temps: Aimed for the 150C 300F mark for the majority of the cook For the sear part I reconfigured as above and opened the top vent aiming for 250c/450f Then for the final 20 minutes let it cool down to around 175c Duration: From when the veggies went in to when it was rested was around 3hr:30min mark Method: Lamb trimmed of the really thick fat nothing to aggressive here as I wanted to have the fat render into the veggie pan Rubbed with oil, the STUBBS rubs , salt,pepper,garlic. Inserted pockets of fresh garlic and rosemary , let that marinate for a couple of hours. Veggies were a simple wash cut into largish pieced placed into the roasting pan with vegetable oil , olive oil salt pepper and some sprigs of rosemary. These were placed into the Kamado Joe on the xrack , under the top grill racks. I did this after the initial burn and whilst the Kamado was coming up to temperature, probably about 20 minutes before the lamb. Once up to temp ~150c on went the lamb to enjoy that kiss of smoke and soak up a couple of hours of heat. After around 2hr30min (internal temp 130F) I reconfigured the grill , removed the veggies and placed the lamb down closer to the charcoal to add that lovely smokey char turned a couple of times to ensure that browning effect on all sides. After about 20 minutes I put the leg back up on the indirect side to finish off. Kept checking the temps and decided to pull it off once I had a reading of around 140f. Wrapped for 10-15mins to rest and relax. All in all turned out awesome !! Learning for next cook. Get a remote thermometer would have helped getting to the precise temps. Let it rest for another 10 min or so. Learn how to carve a bone in leg ! Thanks for looking in. Joe on ! !